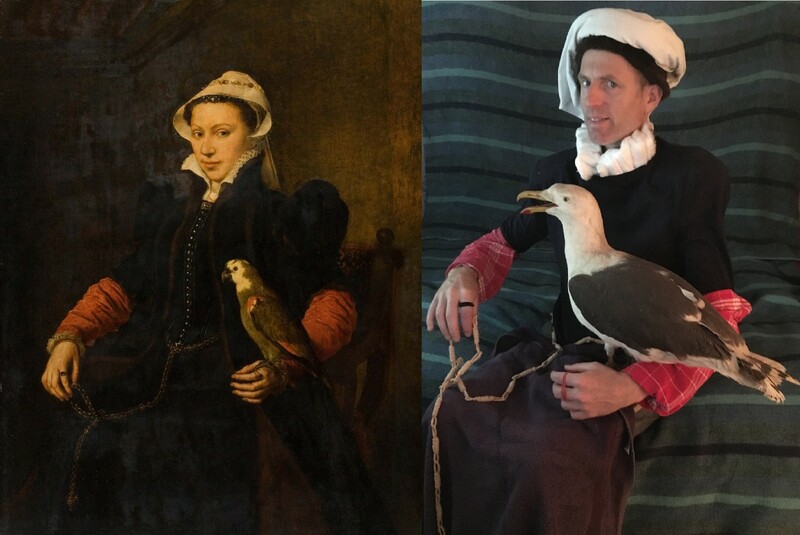 Unless you have a very well trained and perhaps, vain parrot, we do not encourage the capture of birds. What is she planning? Can you master this mischevious glance? This is thought to be a portrait of Jonekin van Herwijck, wife of leading Antwerp goldsmith Steven van Herwijck. Because of similarities in interior and costume, it is believed to be a pendant to his portrait ‘Portrait of a Goldsmith’ (1564) which is in the Royal Picture Gallery The Mauritshuis, The Hague. The parrot is likely to have iconographic meaning. 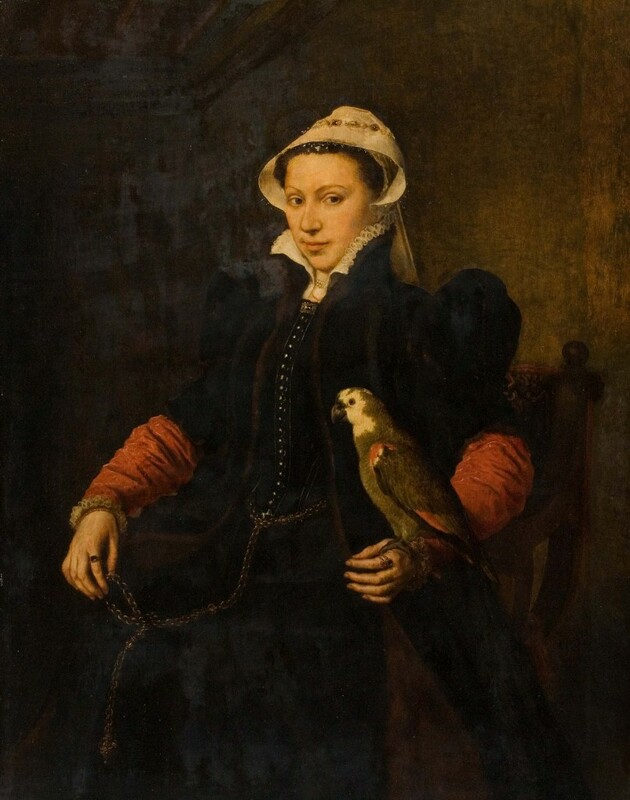 Parrots and the colour green were often associated with love, which supports the idea that this is a marriage portrait. The parrot is also a symbol in the cult of the Virgin Mary, suggesting that she possessed both religious and marital faith.